A long time ago I did a blog series on “The Life of a Restaurant Equipment Employee.” Most of my recent posts have avoided restaurant equipment talk, because I know that ya’ll really aren’t that interested. Yet, I think you’ll enjoy today’s post. Well, you might not be enthralled by it, but I bet you’ll learn something new. Plus, if you hang around till the end there might just be an entertaining Vanilla Ice video. Have you ever considered the ice cubes in your drinks? You might not have, unless you are one of the many fans of “Sonic Ice.” Having worked in restaurant equipment for several years now, I have learned a thing or two about ice cubes. I will tell you about four different types of ice, including the mythical “Sonic Ice,” and I will tell you why different company’s choose to use different types of ice. This is what we in the industry call Diced Ice. It is fairly straightforward. It is a rectangular, and it allows for a large amount of product in a cup. It’s chewability is not very high, because it is designed for cooling your drink – not chewing. This is a Half-Diced ice cube. The Half-Diced Cube is half the size of the diced cube, thus, “Half-diced.” Many McDonald’s use Half-diced cubes. These cubes have more chewability than the diced cubes, but they also fill more of the cup and allow for less product. Thus, I always ask for less ice at McDonald’s, because Half-Diced ice does not allow you get as much Dr. Pepper or Sweet Tea in your cup as Diced would. Because a lesser amount of beverage can fit in a cup with half-diced cubes, restaurants often choose half-diced options in order to achieve a greater profit margin. 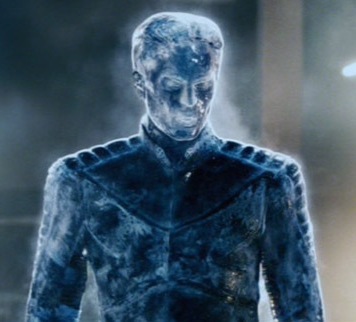 This is Iceman from Marvel Comics. 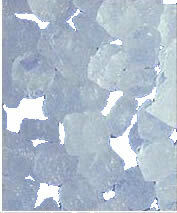 This is Flaked Ice. I find flaked ice to be quite annoying. Yes, it cools your drink, but due to the small size of the ice chips, it waters down your drink pretty quickly. I think the best use of flaked ice is giving pregnant women something to chew on when they’re in labor, or so I’ve heard. I really have no idea why a restaurant would use this type of ice, I really don’t like it. This is Nugget Ice, or as most people where I come from call it, Sonic Ice. We all love this ice, because it is just so darn chewable. There are Facebook groups devoted to this chewable ice. Here’s a secret about nugget ice: customers love it because it’s good for chewing, restaurants love it because it allows them to give a customer around half the beverage they would have given if they used diced ice. This is why Sonic can afford to have their Happy Hour with half-priced drinks, because you only get about half a drink from them anyways. I don’t really consider this deception, because people go to Sonic partially for the ice, and I believe that most all of us are aware that we are losing some volume for chewable ice. That’s probably more than you ever wanted to know about ice cubes. So, here is a fun Vanilla Ice related video to reward those of you that have made it this far. And for those of you shopping for an ice-machine, be sure to check out this ginormous sale which goes on through September 30th!